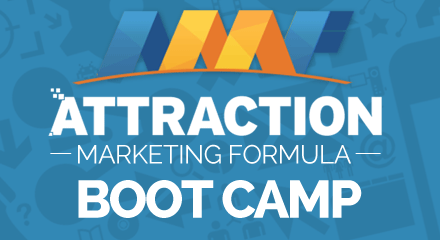 What if you could multiply your income with your (social) network marketing business, and get on every success trip with your company by simply telling stories? You can move whole organizations into action with your stories. When I first jumped into network marketing, I had no idea how effective stories, analogies and metaphors would be. But if you study the commercials and any big marketing strategy, (where they literally only have 5-10 seconds to grab people’s attention), you’ll see what I’m talking about. The subconscious mind is about a million times more powerful and makes all of our emotional (and snap) decisions FOR us, whether we want it to or not? So now, after you become skilled with moving people into an emotional state, (getting them from their head to their heart), you’ll most definitely attract them, by getting them to “FEEL” how you felt! And once you know how to move people from that “thinking” space to a “feeling” space, it becomes much easier to get prospects to show up for themselves! People FIND the time and money for what’s important to them! Every highest earner I know is a master storyteller, and as soon as they helped me put my own story together and learn how to use metaphors and analogies to explain things, I became one too. Have you ever been to a network marketing meeting that wasn’t your own company’s? Ok… can you even remember any facts or figures about it? Probably not, right? The only things you may remember about that meeting is a high or low point in the story they told, and hopefully somewhere in that story, (if they were good), they slipped the product or the business into the stories. It would be the only way you remembered it! So now, if you want to plant your seed more effectively with your own stories, I have this Facebook Live video below, talking about how and why your story is your biggest and best asset for building your network marketing business. Whether you’re attracting online or offline, your story is what is going to STICK in their mind and help you move and inspire people. People don’t care about the “features” of your business, your comp plan or product. They only care about the how it’s going to BENEFIT them. What are the benefits of working with you, or using the product? And what are the benefits of those “benefits“? In other words, how was your life before getting those same benefits, and how does it FEEL now that you got those benefits? Your stories on all of it will help the benefits sink in so they’ll retain the information. It becomes more real to them. So here’s the Facebook LIVE video, and below is Part 2 with the 5 questions that will help you put your story together. A compelling story is most effective for grabbing their attention, keeping their attention, and enrolling them almost effortlessly! And if you have any questions, or would like help with marketing and branding online, you can get in touch with me HERE, and if this was valuable, make sure to like, comment, or share this post!